Hindhaugh Call-Up - Lucky for Black Cats? Given the desperate position of Sunderland AFC at the foot of the English Premiership table it's perhaps no surprise that the club have turned to one of their most avid supporters, John Hindhaugh, to stop the rot. Hindhaugh will be playing in goal for his beloved SAFC on May 5, as the Black Cats fight to retain their Premiership status. Well that's the dream - but it's not entirely true. 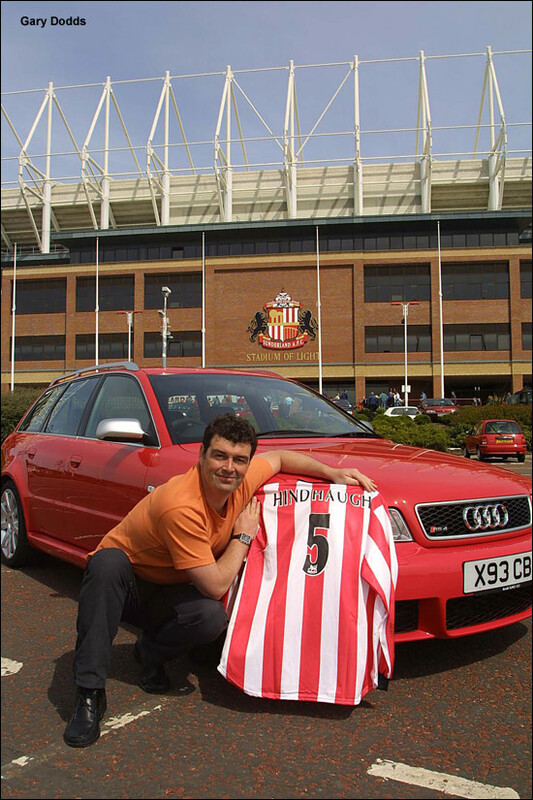 Although 'Hindy' will indeed be keeping goal at the Stadium of Light, it will be in a match that will benefit children's charities. It's not the first time that the Radio Le Mans and TV commentator has appeared on the hallowed turf. "I played centre half in a similar game when we were in the Premier League about four years ago," explains Hindhaugh, "I think dropping back into goal is more befitting of my advancing years and advancing waist size." "I'm honoured to be given the opportunity to play again at the Stadium with some of my heroes. The last time I played there I looked every inch the Premiership player when I arrived - I was driving an RS4, thanks to Audi UK." According to onlookers the similarity ended there! Hindhaugh admits that his 'keeping skills are a little rusty, "I think the last time was in the end of season ALMS game three seasons ago. I seem to remember David Brabham scored three past me, although Tom Kristenson failed to beat me despite having a couple of one-on-ones. 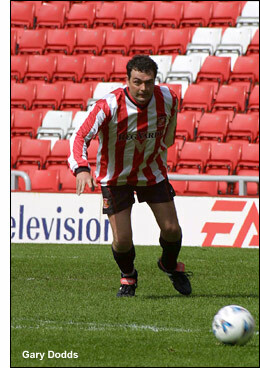 As he has scored against French National 'keeper Fabian Barthez, he's still a bit sore over that!" Although the game is just a bit of fun (yeah right!) the serious side is about the charities. The proceeds from the match are split between community football initiatives for the disabled and charities working to find a cure for Type 1 Diabetes – that is research into the strategies for the prevention of Type 1 Diabetes and its complications, and for projects helping to improve day to day management of diabetes for children and young people with diabetes on a day-to-day basis. will make a big difference to a child's life."